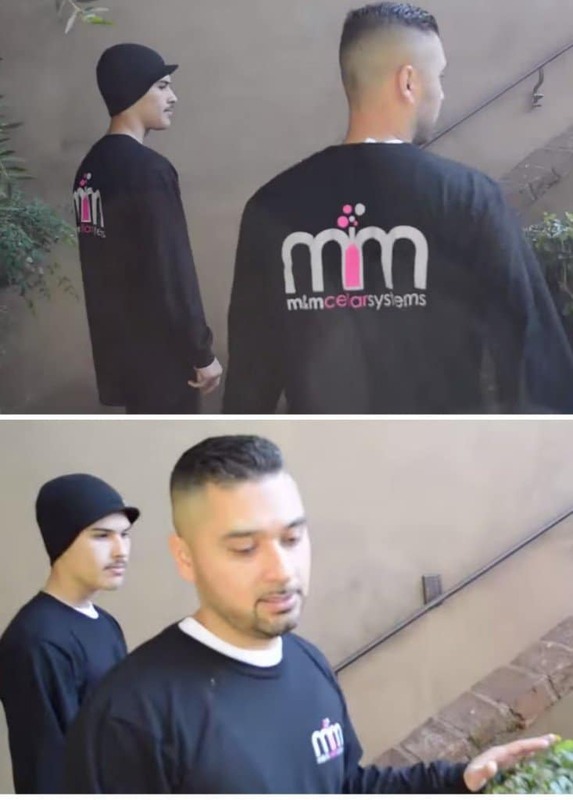 A recent leak in an Irvine, Orange County, California wine cellar was diagnosed and fixed by M&M Cellar Systems. If this hadn’t been found and fixed quickly, great damage and expense would have occurred to this very valuable wine cellar cooling unit. The process of leak detection illustrates the importance of regular maintenance and expert care of your wine cellar after it’s been constructed to preserve it’s functionality for years to come. In a recently completed project in Irvine, Orange County, M&M Cellar Systems repaired a leaking wine cellar cooling system. Before the repair could begin, the HVAC professional had to find where the leak was located first. To detect the specific location of the leak, an Ultraviolet Light Leak Detection Method was used. The technician injected a UV detectable dye into the cooling system, and allowed it to circulate for about a month. He came back after a month and found where the leak was exactly, which was inside the unit. The refrigeration unit had to be disassembled in order to gain access to the leak and fix it accordingly. Wine cellar cooling systems need a refrigerant to function properly. It is the refrigerant that creates the cool air that the cooling units provide in wine storage rooms. Freon is on the most common refrigerant used in most cooling systems. Freon is actually a trade name for a group of chemicals that are used as refrigerant in cellar cooling systems. When placed in room temperature, Freon turns to gas, but it goes back to its liquid form when cooled or compressed. No refrigeration system can cool a storage room without a refrigerant. If a cooling unit has a leak and is losing Freon, it can gradually stop functioning. A regular maintenance plan is necessary to detect problems with your wine cellar cooling system such as a Freon leak. Early detection and immediate repairs are necessary to make sure that your wine collection is kept in the ideal storage conditions. Generally, all pressurized HVAC refrigeration systems can eventually leak refrigerant. It’s very important that you have a regular maintenance plan for your wine cellar cooling unit, so that you can monitor its condition and have it inspected for leaks. The UV Light Method, also known as Spectronic Method, is the most precise method of locating Freon leaks in a wine cooling system. In this method, the technician injects a liquid tracer into the refrigeration system, and allows it to circulate for about 2 to 4 weeks. The liquid tracer is usually a UV light detectable type of dye. It circulates in the cooling system and exits with the refrigerant at the leak sites. After the UV dye is allowed to circulate the system thoroughly, an ultraviolet inspection lamp is used to scan for it. The dye glows when illuminated by the UV light, and consequently identify the exact location of the leaks. The Freon Electronic Method is the fastest and easiest way to detect leaks in a cooling system. Using an electronic sniffer, the technician is led to the general leak area. A lot of experts recommend wrapping the suspected problem area in plastic to capture the fumes, so that the electronic detector can be more specific in locating the leak. This method utilizes liquid solutions that produce bubbles when placed on a leak. The solution may be applied by spray, brush, immersion, or dabber. Many times, technicians use the Bubble Leak Detection Method to verify the specific leak areas after utilizing other leak detection means. The Bubble Leak Detection Method can be a very messy procedure. It can also be tedious and time-consuming to clean and remove the residue after performing it. M&M Cellar Systems is one of the most trusted wine cellar cooling companies in Irvine. 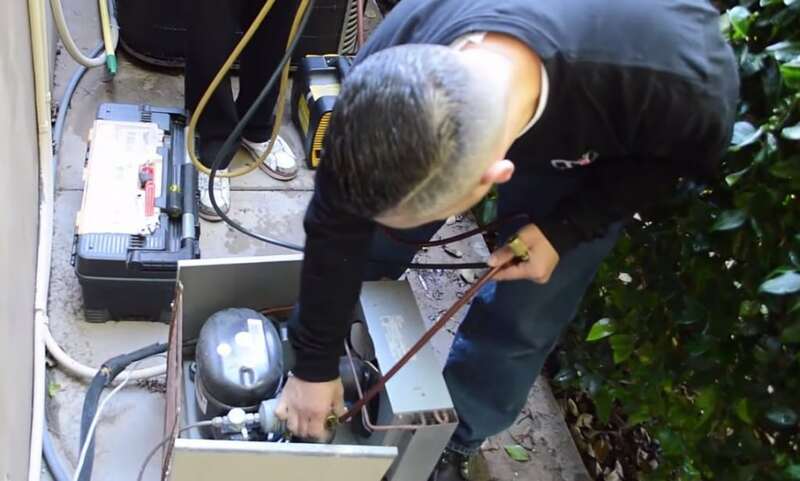 Besides manufacturing high quality refrigeration systems, they also provide maintenance and repair services throughout Orange County and Los Angeles. Protect your wine collection here in California by making sure that your refrigeration system is always functioning optimally. Subscribe to a regular maintenance plan today. Send M&M Cellar Systems an email through expertservice@winecellarcoolinglosangeles.com or contact them at +1 (323) 578 3330.